You’ll notice them as soon as you get here: cyclists weaving through traffic, past idling double-decker buses and black cabs like water flowing around pebbles. Perhaps you’ve thought about getting into cycling yourself, but it can be intimidating in a new city if you don’t know where to start. There’s a few easy things you can do, though, to get yourself started and cycle confidently and safely on London’s streets. Give cycle hire a try. If you want to get a feel for cycling in London, cycle hire is a good way to do it without an expensive bike rental. Dotted around the city are cycle hire stands. Affectionately called “Boris bikes,” after the mayor of London in office when they were introduced, the concept is pretty simple: turn up at a docking station, insert a credit or debit card, pay £2, and get 24 hours of access to every bicycle in the program. Then, you can remove a bike from the station and cycle to your destination, returning the bike at another station. All central London neighbourhoods have these docking stations, and there are several on LSE’s campus. Just keep in mind that your trip needs to be shorter than 30 minutes; any longer, and you’ll be charged extra. If you prefer cycle hire over getting a bike of your own, you might consider a year-long membership in the cycle hire scheme. It costs £90 for one year, and you get even quicker access to the bicycles—all the more helpful if you’re rushing to get that one last bike at the docking station. Take free lessons. That’s not a gimmick—Transport for London (TfL) and the boroughs of London subsidise cycling lessons for anyone living, working, or studying in the city (which, if you’re planning on going to LSE, includes you). TfL’s website has helpful information on signing up for lessons, no matter what your skill level. 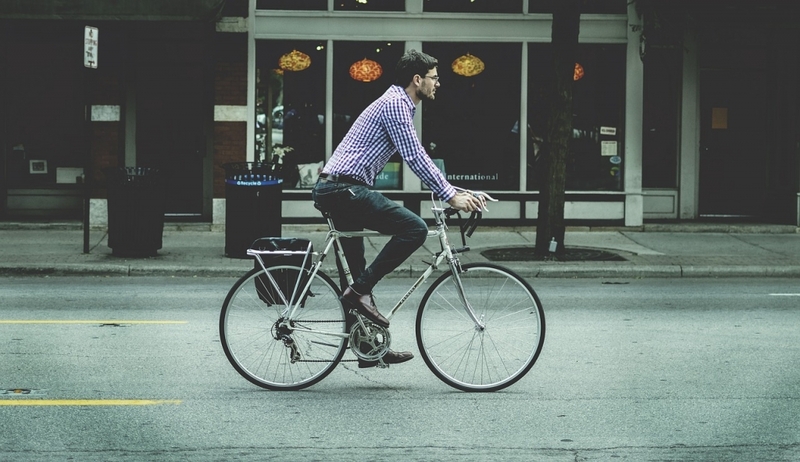 Maybe you’ve never gotten on a bicycle in your life. Maybe, like me, you’re just not used to cycling in the road. Or maybe you cycle every day in your hometown, but the thought of cycling in London traffic and on the left side of the road freaks you out. The instructors have seen it all, and they’re there to help you navigate London’s streets on two wheels with confidence. Be seen. This is especially true if you plan to cycle after dark, but you should try to be visible even on a (rare) sunny day. It can be anything: a reflective jacket, a helmet in a high-visibility colour, or some other thing that helps people see that you’re there. You don’t have to go crazy like some of the cyclists in London, who buy hundreds of pounds worth of Lycra. 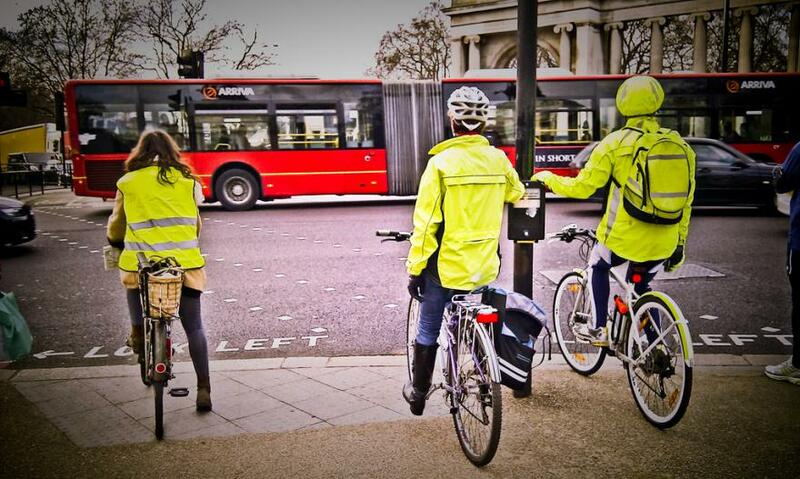 You’ll see at least as many cyclists in regular clothing—but they’ll pretty much all have something in high-vis. What’s important is that you can be seen in any light or weather. Drivers can’t give you the space you need if they can’t see you. Invest in a strong lock and have your bike marked. If you’ve walked around London and seen a single bike wheel chained to a lamppost, you already know that cycle theft is a problem. If you plan on relying on cycle hire, that’s not your concern. If you want your own bike, though, be mindful of where you keep it, and for how long. It’s worth investing in a strong lock that will deter thieves. You should also get your bicycle marked if someone does end up walking off with it. The Metropolitan Police have events where they’ll do this—including one at LSE near the start of the term! It may seem daunting, but you’ll be pleasantly surprised at how quickly you can go from being a novice to a cycling pro on London’s streets. At my first cycling lesson, I nearly flew over the handlebars at one point. Now, I’m able to cycle across busy Westminster Bridge and along the Thames, getting to campus in half the time it takes me to walk. Taking those first steps makes a world of difference, and you, too, can get started navigating London’s roads on two wheels.